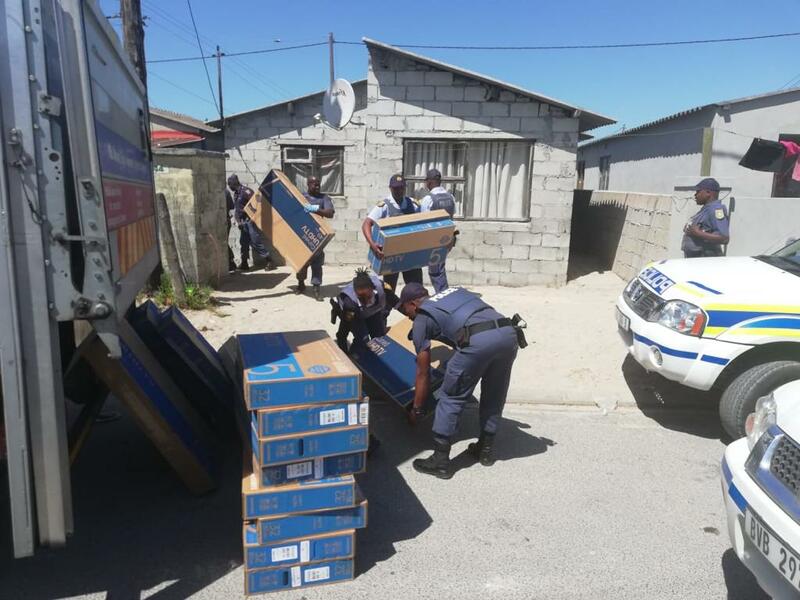 Eager to apprehend those responsible for receiving the loot of a hijacked truck, members of Khayelitsha SAPS conducted a thorough search of an area which resulted in the arrest of four suspects and the retrieval of 50 flat screen television sets yesterday. Our members in Khayelitsha responded to a report that a truck which was hijacked in Mannenberg earlier in the day was seen in R-Block Khayelitsha. The truck was located and found empty at the time of arrival. A search operation was conducted in the area and 50 flat screens television sets were recovered at residences in the area. Four suspects age 20, 25, 27 and 40 were arrested and are expected to make a court appearance in Khayelitsha once they have been charged with the possession of stolen property. The circumstances surrounding the matter are being investigated and more television set are being sought.